A fellow said the other day at the shop, “you sell quite a variety of salt” as he stood at the check-out counter while I wrapped his gifts. Why yes we do, I thought. Life is too short to use bad salt, was my other thought. I also, am asked often by customers, what salt we use at home. 2 we sell, the other is a grocery store staple. We have 3 little vintage glass bowls that I keep filled with each variety that is on an open shelf within arms reach of the stove. This allows us to easily access the salt while we are cooking. 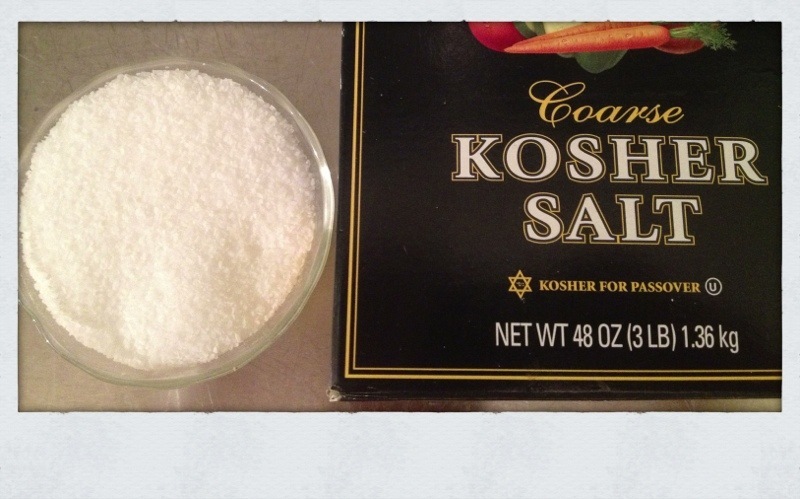 The grocery store variety is coarse kosher salt. This is a super fine salt. This I would use when boiling a pot of water for pasta and I want to salt the water. TPS would use this when he is baking. 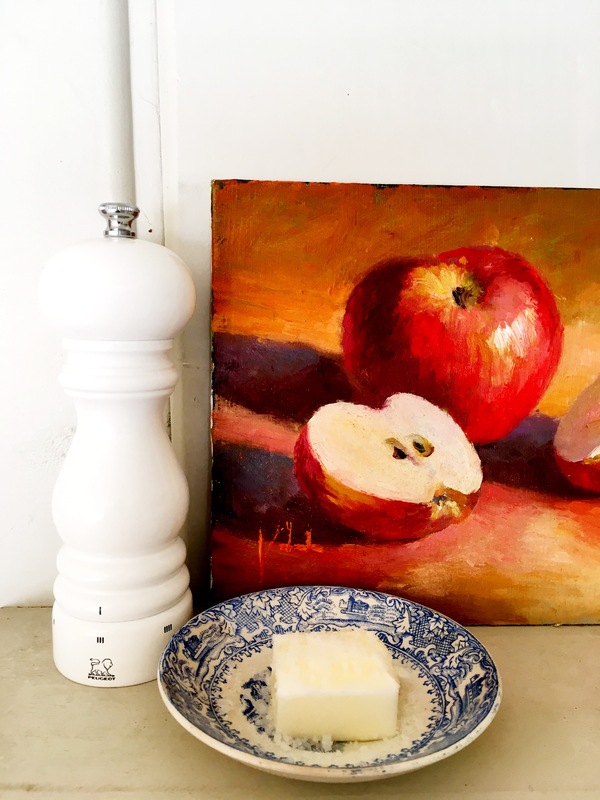 I find this salt to be much more mellower than regular table salt, which can have an astringent and sometimes slightly bitter taste. Even though the box says ‘coarse’ it is really quite fine compared to the other 2 we like to use. The second variety is something we have carried at Watson Kennedy since we first opened the Home store. It is a French Fleur de Sel. This is the salt I reach for the most often. It is beefier than the first, still has a very mellow taste, but I think it imparts more flavor. 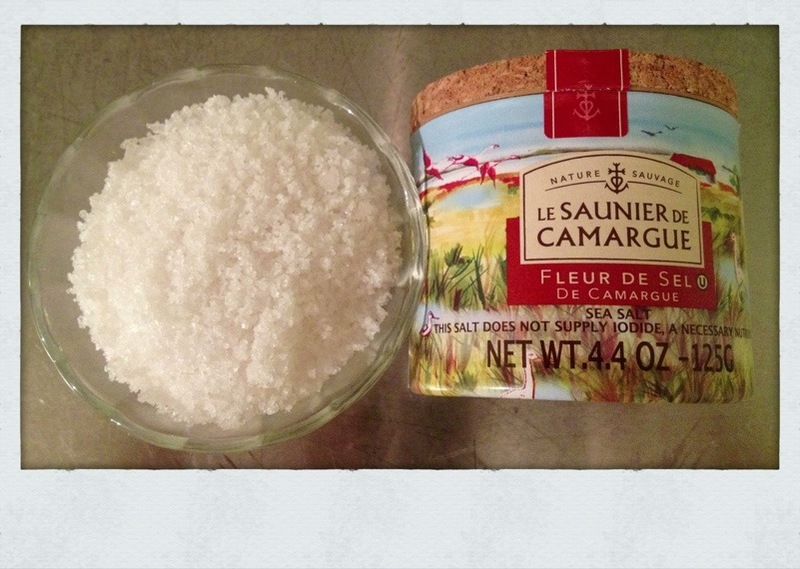 Scattered on top of sliced tomatoes, to topping a chicken soon to be roasted, Camargue Fleur de Sel is always my choice. This also makes a great little gift, as it comes in this spiffy little container with a cork top. 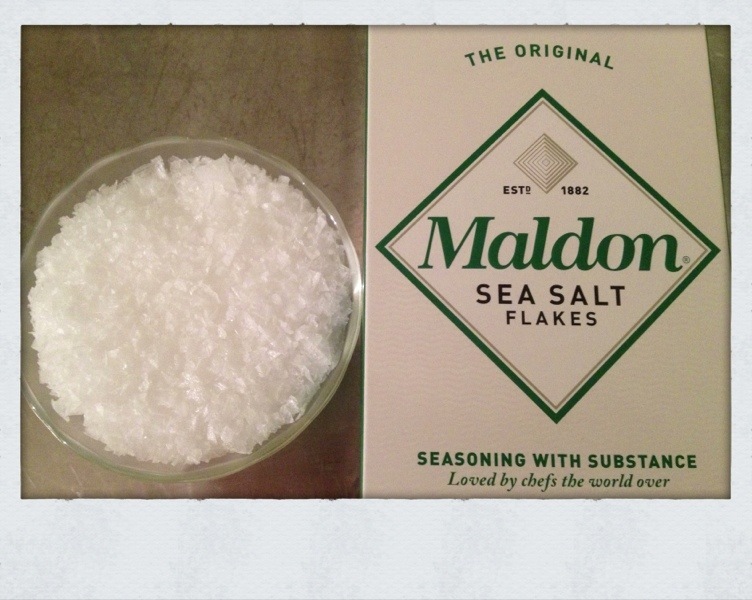 And last, but most certainly not least is the fab Maldon sea salt flakes from England. It is chunky. Love this stuff! This is finishing salt in my book. Maldon is what I would use to do a final sprinkling of salt over a bowl of pasta or over veg right out of the oven after they have been roasted. The chunky salt adding an interesting visual, while adding flavor. 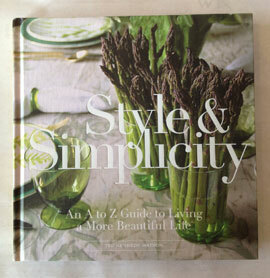 Things have already started to trickle in from orders I wrote at the show just a little over a week ago. I get so excited when new goods arrive. Really excited. So much of retail is that of telling a visual story, so when a new item or two come in that help tell an existing story, I jump at the chance to do a quick re-display. 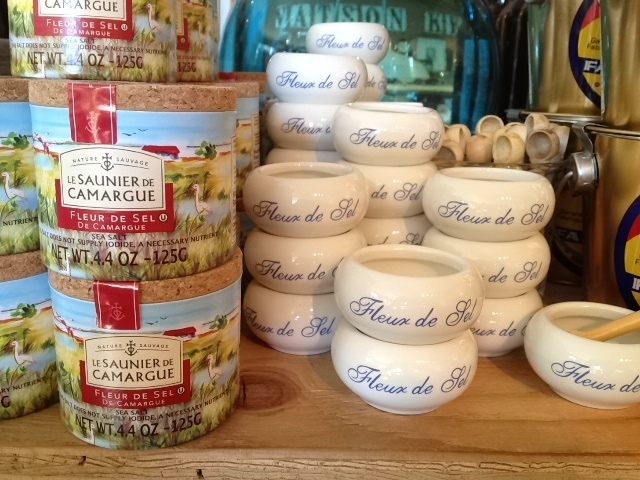 We have sold the famous cork topped Le Saunier de Camargue fleur de sel at Watson Kennedy almost from the minute we began. 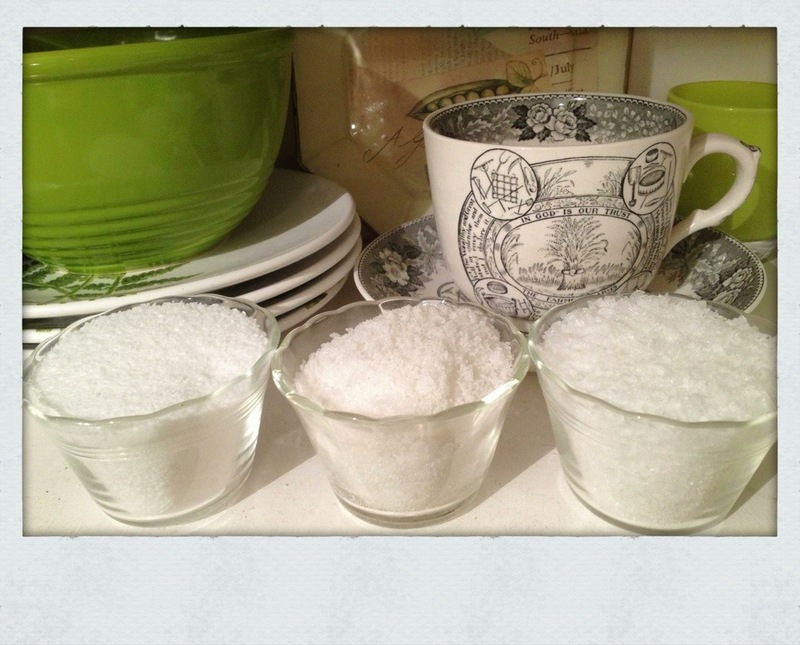 What arrived yesterday are these very sweet little white ceramic bowls that you can put the sea salt into and have it out on your table. Along with that are beautiful Berard wood spoons that one can use to scoop the salt out of the bowl. The visual story is now complete!